Volkswagen AG said first-quarter profit more than tripled as the VW and Audi brands attracted Chinese customers. Net income increased to 1.71 billion euros ($2.51 billion) from 473 million euros a year earlier, the company said on Wednesday. Profit beat the 1.63 billion-euro average of seven analyst estimates compiled by Bloomberg. Revenue rose 31 percent to 37.5 billion euros. CEO Martin Winterkorn reiterated that rising demand in China will help boost revenue and operating profit this year. Deliveries will grow 5 percent in 2011 from 7.2 million cars and sport-utility vehicles in 2010, the carmaker has said. VW's first-quarter deliveries in China, the world's largest automotive market, climbed 20 percent. VW sold a record 1.97 million vehicles globally in the quarter, led by demand for Audi's revamped A8 sedan and new A7 Sportback and VW's Tiguan compact SUV. Volkswagen is counting on growth in China, as well as Brazil, Russia and India, to help the company surpass Toyota Motor Corp. as the world's biggest carmaker. VW said its automotive division net liquidity remains high at 19.6 billion euros after rising by 1 billion euros during the first quarter from the end of 2010. Liquidity increased despite VW paying out 3.5 billion euros to acquire Porsche Holding Salzburg, Europe's largest car retailer, and an 8.18 percent stake in SGL Carbon, making VW the second largest shareholder in the German manufacturer of carbon products after BMW AG. CFO Hans Dieter Poetsch said the cash reserve gives VW the financial flexibility it needs for investments and to implement its Strategy 2018. 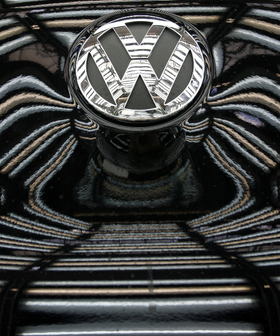 The strategy aims to make VW the world's largest automaker by 2018. Audi and the core VW brand continued to be VW group's main profit drivers in the first quarter, while the ultraluxury Bentley brand and Spanish unit Seat reduced their losses. Audi's operating profit grew to 1.1 billion euros from 478 million euros. VW passenger cars brand's operating profit increased to 1.1 billion euros from 416 million. First-quarter operating profit at Skoda rose to 187 million euros from 100 million euros. Seat reduced its loss to 12 million euros from 110 million euros a year earlier while Bentley's operating loss narrowed by 11 million euros to 25 million euros.